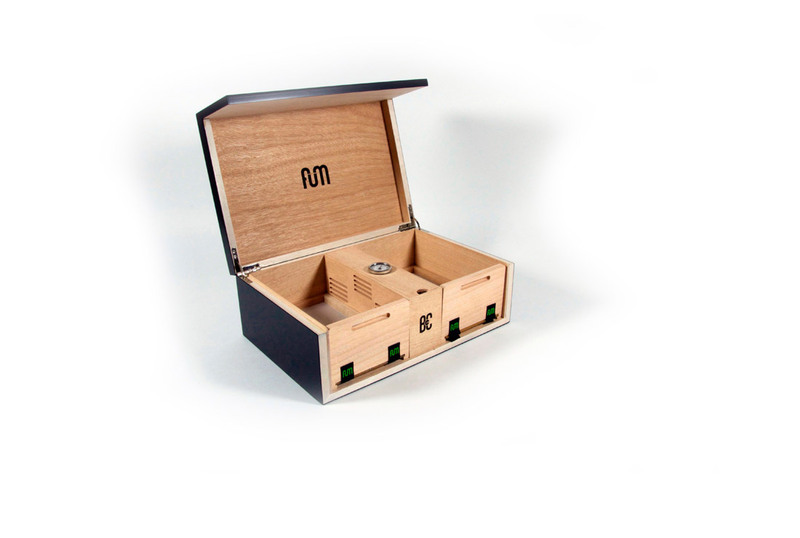 Find out all the information about our Large cannabis humidor! 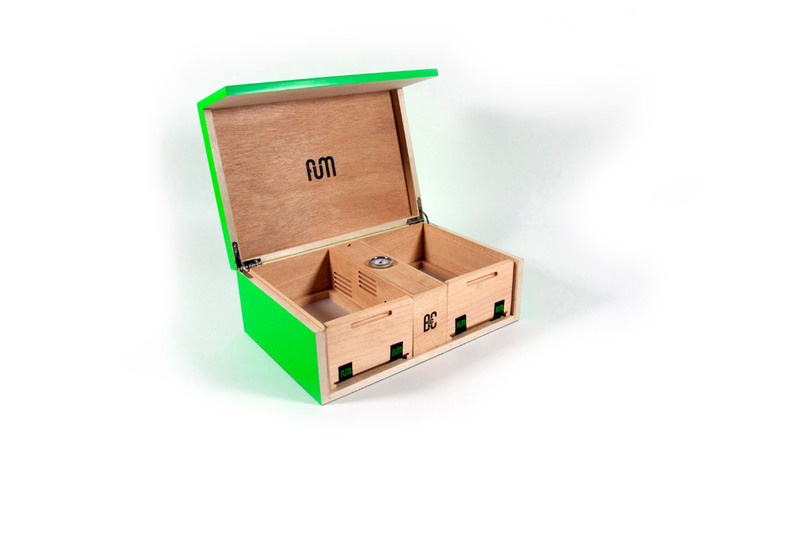 More capacity to store and keep your cannabis in optimum conditions.An innovative, creative and functional paraphernalia specially designed for cannabis storage and maintenance. 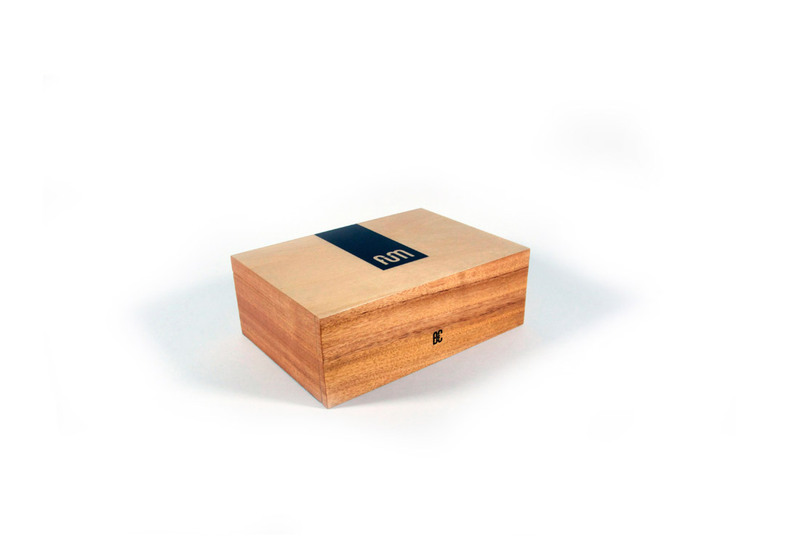 Our products reflect who we are. 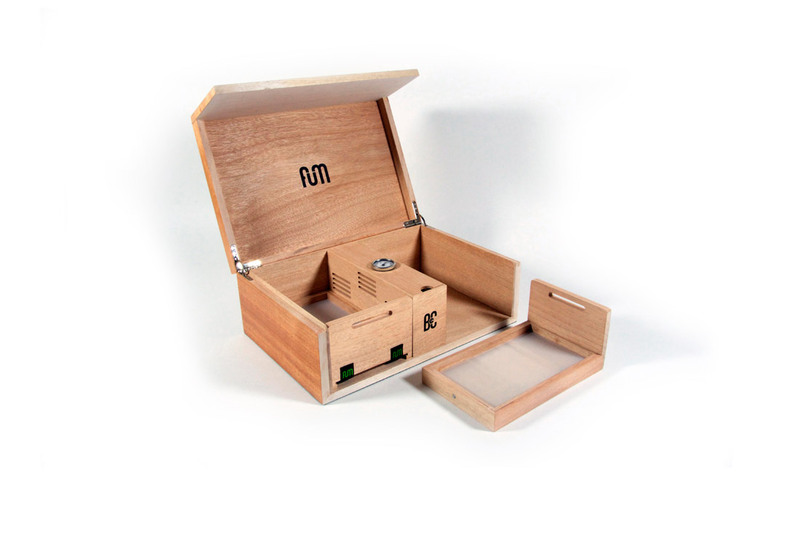 Designed in Barcelona, our home city, patented and tested by sector specialists. 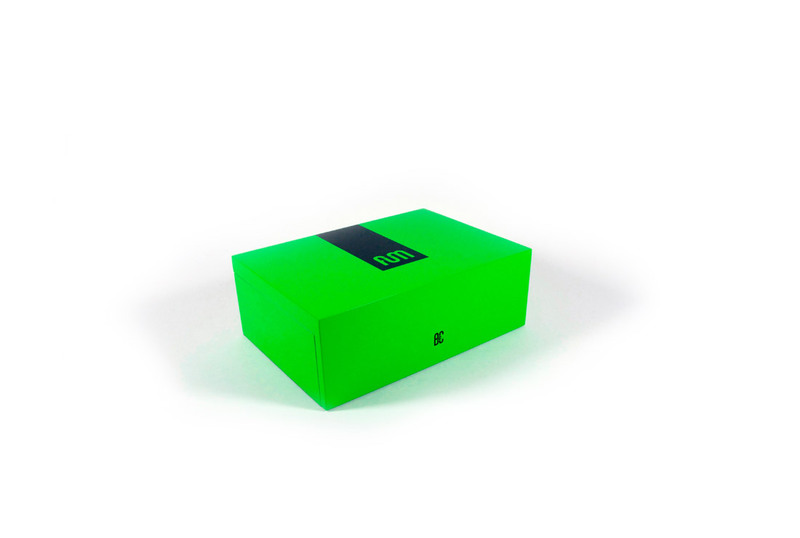 Fum®, keep the green. 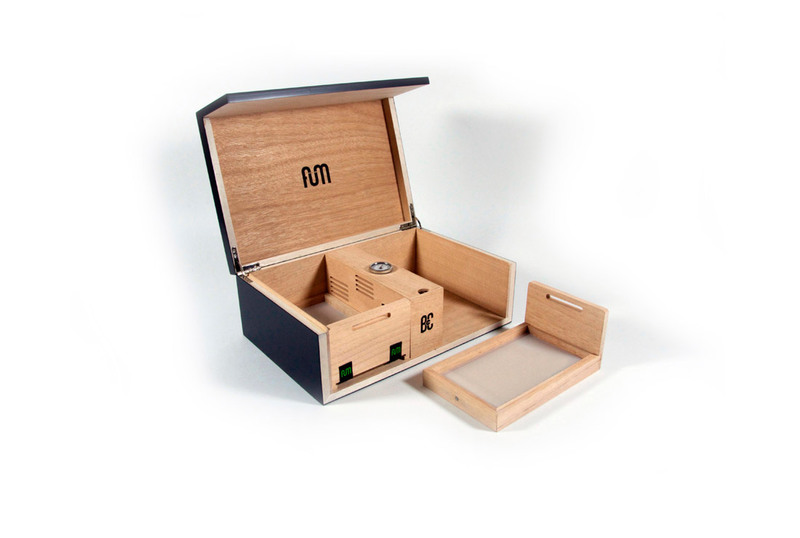 Large B4CC is a solid desktop humidor made with all interiors in wood and specially designed for keeping the cannabis in optimum conditions due to its hermetic seal and interior humidity circulation system. 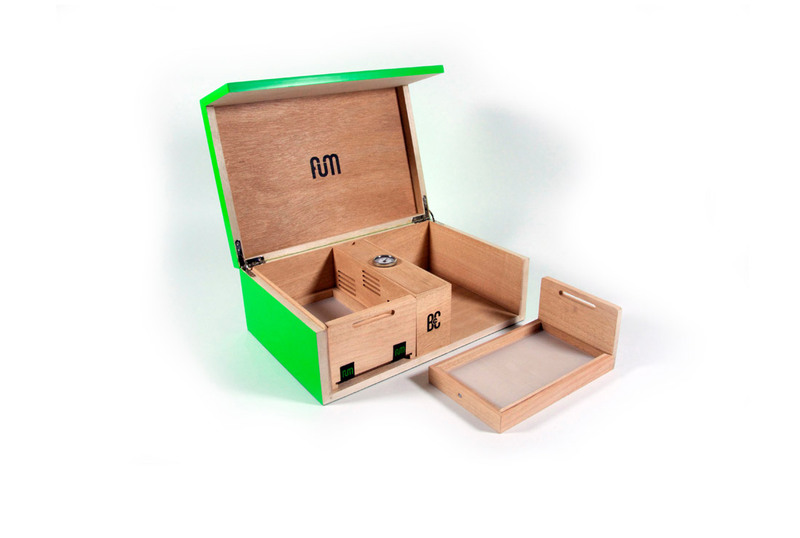 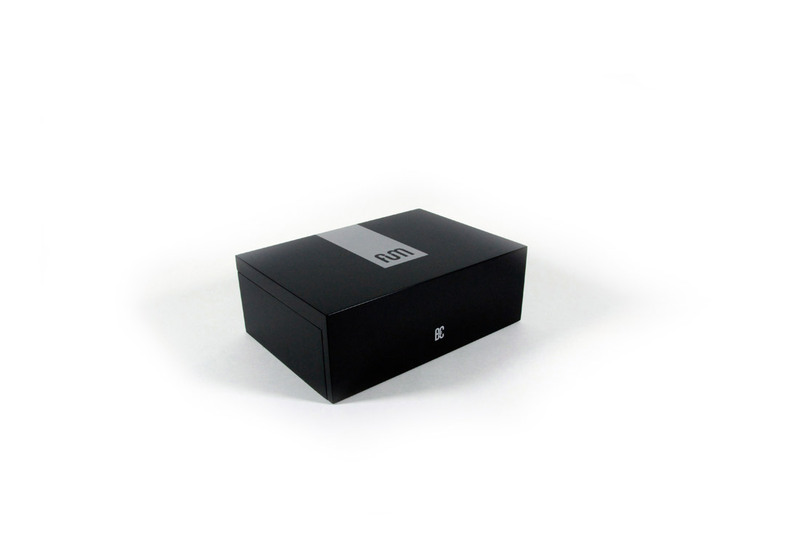 Large B4CC includes two interior okume trays with an estimated capacity of 50-60 grams each; the separate trays allow the separate storage of sativas and indica herbs. 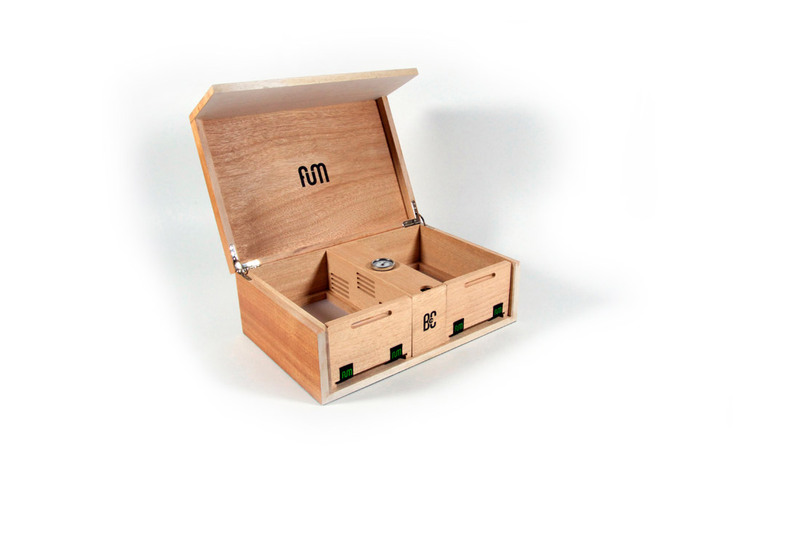 Each of the trays include a pollen recollection system and mobile separator are also included in our weedbox, this allows the storage of different marijuana varieties.